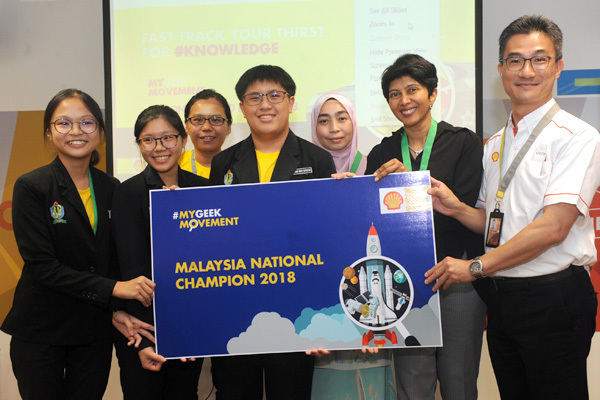 SMK Lutong, Miri emerged national champion with their dust detector prototype, beating out Sabah State Champion – SM St. Michael and Peninsular Malaysia State Champion – SMK Bandar Puncak Jalil during the #MyGeekMovement Grand Finals 2018. 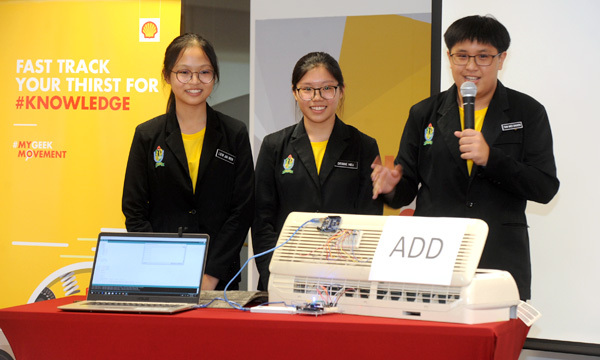 The national finals organised by Shell Malaysia involved students presenting innovative inventions and prototypes under the theme ‘Access to Energy’ challenge. SMK Lutong’s air-conditioner dust detector prototype won due to their invention’s ability to conserve energy. On top of being crowned the #MyGeekMovement national champion, the team members earned a once-in-a-lifetime opportunity to be part of Shell’s Make the Future (MTF) Live in London. There, they will have the opportunity to experience hands-on science experiments, test and contribute bright energy ideas around alternative energy. 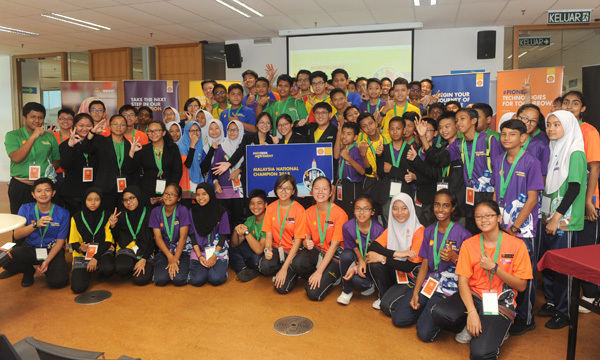 Under the #MyGeekMovement 15 schools nationwide were selected to be part of this STEM immersive programme by Shell. With the support of the Ministry of Education, #MyGeekMovement Shell STEM Malaysia selected 225 secondary-one students across fifteen schools in Sabah, Sarawak and Peninsular Malaysia. These students will experience the opportunity to gain hands-on STEM learning, with a focus on technology. The programme is not limited to just the 225 students. A peer to peer coaching is also implemented to widen the knowledge to the student community in the participating schools. Shell Business Operations General Manager Nyon Kam Yew; MDEC Vice-President Sumitra Nair; and Assistant Director of Co-Curriculum and Arts Division in the Ministry of Education Nadhirah Azman; were the panel of judges in the Shell STEM Malaysia #MyGeekMovement Grand Finals. Previous: All-New Live Sports Streaming Player – beIN SPORTS CONNECT – is Now Available!